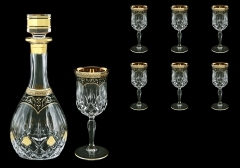 Selection of water, whisky, liqueur and wine sets in various sizes and shapes. 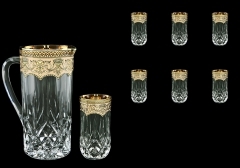 Top quality Italian crystal decorated in Bohemia, Czech Republic. 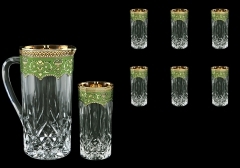 Available in black, white, ivory, blue and green colors.